We have updated the list of top 10 Fastest Bowlers in the history of world cricket to include latest bowling records of 2019 after the Asia Cup that won by India defeating their neighboring country Bangladesh in the UAE. Cricket is a very famous and widely played game in the world, and bowling is a Crucial part of Cricket. There are lots of very famous, fast and aggressive bowlers in the history of Cricket who made their names by their speed. Here goes the list of Top 10 Fastest Bowlers of the Cricket History. Update: Australia’s Premier Fast Bowler Mitchell Johnson has Bowled 156.8 kmph Delivery at MCG, Against England in 4th Test Day 3. 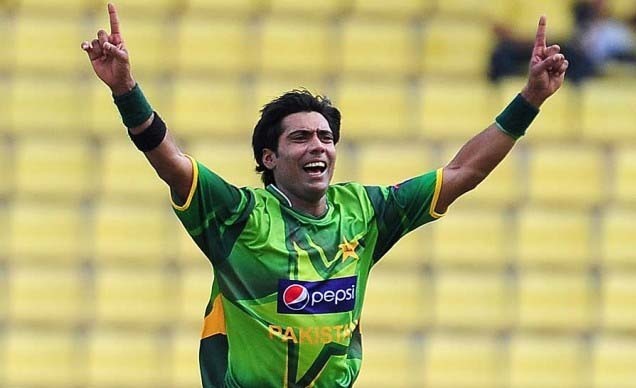 That Make him 7th fastest Bowler in History, Ahead of Muhammad Sami (156.4). Previously Muhammad Sami Was at #7. New Zealand’s right arm fast bowler Shane Edward Bond often cited as the fastest bowler of New Zealand. One of the most Dangerous Bowlers of his Time, his fastest delivery is – 156.4 kmph during ICC World Cup 2003. The current bowling coach of Indian Premier League franchise Mumbai Indians, he represented New Zealand in international tournaments from 2002 to 2010. 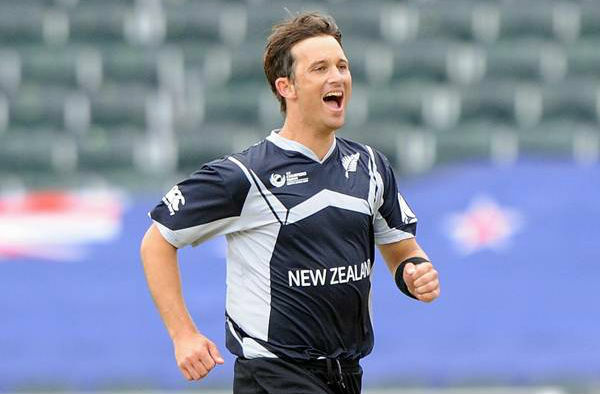 He took 87 test wickets and 147 ODI wickets for the ‘Black Caps’ in his active career. His best bowling performance came in a test match against Zimbabwe where he took 10 wickets in 99 runs in 2005. He also made a 5-wicket test hauls five times and 5-wicket ODI hauls four times. The man with the worst average in test cricket, Mohammad Shami, is a Pakistani Right Arm Fast Bowler. He is the 2nd fastest bowler in the Pakistan cricket history and the No 9 in our List. His fastest delivery of 156.4 kmph came in an ODI at Sharjah against Zimbabwe in April 2003. He took 85 test wickets and 121 ODI wickets for Pakistan in his active career since 2001. He has put his mark in the cricketing history while being the only player to notch a hat-trick in all three formats of cricket. Known for his swing and pace, Sami is undoubtedly one of the best bowlers Pakistan has ever produced. Retired cricketer Mitchell Johnson is Australia’s premier fast bowler, Who can also bat low down the order. Johnson is at #7 on the list of Fastest Bowlers. He bowled a delivery with the speed of 156.8 kmph, 1n 4th Ashes Test, Day 3 Against England in December 2013 at MCG. Johnson took 313 test wickets and 239 ODI wickets in his cricketing career between 2005 and 2015. He received the Sir Garfield Sobers Trophy from ICC in 2009. Johnson also achieved the ICC Cricketer of the Year and ICC Test Player of the Year award in 2014. Recently, IPL side Kolkata Knight Riders bought him on their side for $314,00 in January 2018. West Indian Fast bowler Fidel Henderson Edwards is playing for West Indies National Team since 2003. His fastest delivery of 157.7 kmph came against South Africa in 2003. As a surprising fact, Brian Lara spotted him in the nets and eventually, he earned his call-up for the national side. Fidel took 165 wickets in Test cricket and 60 wickets in ODIs as of 2018. He also took 5-wickets in 12 test matches till now. Besides international matches, he also played for Bangladesh Premier League franchise Khulna Royal Bengals. He participated in the Indian Premier League while playing for Deccan Chargers and Rajasthan Royals. Sir Andy Roberts is a former West Indian Fast Bowler. He was an excellent fast bowler, twice taking seven wickets in an innings of a Test match. His fastest delivery of 159.5 kph came against Australia in Perth 1975. Known for delivering two different kinds of bouncers, he took 202 test wickets and 87 ODI wickets in his heydays. He made 10-wicket test hauls twice during his time. Besides international appearances, he also played first-class cricket for Hampshire and Leicestershire County. The United States inducted him into their Cricket Hall of Fame in October 2005. His incredible performance at WACA during the 3rd day 0f 2nd test between New Zealand and Australia lands him in the fifth position in this list. His average has a consistent value of 146.4 kph throughout the matches. The left-arm fast bowler helped Australia to lift the ICC Cricket World Cup in 2015. He took 182 test wickets and 140 ODI wickets in his professional career since 2010. Besides international matches, he also played for IPL team Royal Challengers Bangalore and Big Bash franchise Sydney Sixers. During the 2018 IPL auction, Kolkata Knight Riders got him on their side for INR 9.4 Crores. Undoubtedly, Starc achieved his place among the best fastest bowlers currently in action. Starc is also one of Fastest Bowler Currently Playing. Former Australian right-arm fast bowler Jeffrey Robert Thomson currently holds the No 4 spot in the list of fastest bowlers of all time. He was also the fastest bowler in his era and delivered his fastest ball of 160.6 kmph against West Indies in Perth in 1975. 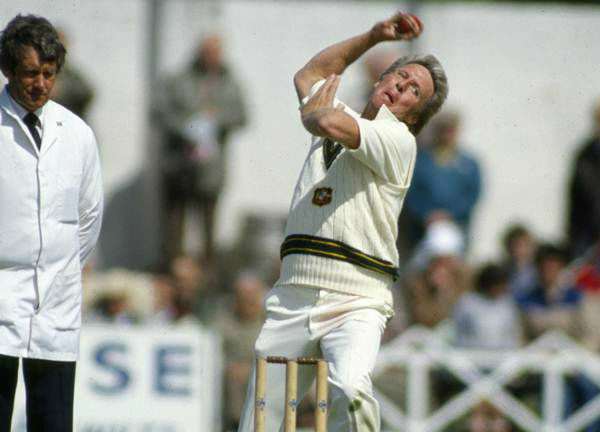 His bowling partnership with Dennis Lillee earned the reputation of being the most fearsome attack in test cricket of that time. He took 200 wickets in test matches and 55 wickets in ODIs in his active career between 1972 and 1985. Besides, he also took 675 wickets in first-class cricket playing for Middlesex and New South Wales. As a tribute, Australian cricket board inducted Thomson into their Hall of fame on 27th January 2016. Right-Arm fast Bowler Shaun William Tait represented Australian National Cricket Team and holds the No.3 spot in the fastest Bowlers list. He bowled his fastest delivery of 161.1 kmph against England. Mostly known for his ODI performances, Tait took 62 wickets in his active ODI career from 2005 to 2016. He also represented the Australian side in international Twenty20 matches. He announced his retirement due to a chronic elbow injury in March 2017. Besides appearing for his country, he also played for IPL franchises Rajasthan Royals and Kolkata Knight Riders. Tait also appeared in Big Bash league for Hobart Hurricanes, Adelaide Strikers and Melbourne Renegades. Former cricketer Brett Lee is the fastest Australian bowler in the Australian Cricket History and the 2nd Fastest of All Time in The History of Cricket. He bowled his fastest delivery of 161.1 kmph against New Zealand at Napier in 2005. He has an amazing career record of 310 test wickets, 280 ODI wickets, and 487 First-Class cricket. Often doubted as the fastest Australian bowlers of all time, Lee also earned his reputation for being among the best fielders. He helped his nation to win the ICC World Cup twice, in 2003 and then again in 2007. Lee played for IPL squads Kings XI Punjab and Kolkata Knight Riders. Besides, he also appeared in the Big Bash league playing for Sydney Sixers. As an interesting fact, Lee took the first ever hat-trick in Twenty20 International cricket. My new dp pic what you think guys should I put it on yes or no ?? Former Pakistani right arm very Fast Bowler Shoaib Akhtar represented the Pakistan National Team in all forms of the game. He is also known as the ‘Rawalpindi Express’. Akhtar is regarded as the Fastest Bowler in the History of the Cricket. He set an official world record by achieving the fastest delivery of 161.3 km/h (100.2 mph) against England in 2003 ICC World Cup. Akhtar is also the first bowler ever to break the 100 mph mark twice in his career. He took 178 test wickets and 247 wickets in ODIs in his active career between 1997 and 2011. Besides international appearances, Shoaib also played for IPL club KKR and NCL T20 Bangladesh franchise Cyclones of Chittagong. Let Us Know About Your Personal Favorite Among These Fastest Bowlers 2019.